Outlook has become an immensely popular emailing platform which not only allows the users to access multiple accounts but also provides outstanding services and user-friendly environment. Being such a popular emailing platform outlook eventually, comprise of two file format OST and PST. The OST is the Offline storage table which allows the user to work in an offline mode and later synchronize the work with exchange server whenever the connectivity is available. On the other hand, PST is the Personal Storage table which stores all the data and information such as email messages, attachments, notes, calendar entries, predefined folders like inbox, outbox, contacts, sent the box, and much more. Sometimes due to corruption, system failure or unexpected shutdown the exchange OST files may becomes inaccessible for the user or many times to the user demand to shift their exchange OST files to Outlook PST files format to avoid any such calamity. But due to the difference in their file format, it becomes difficult for the users to export OST files to Outlook PST files formats; therefore, to export OST to PST files format the user needs a software solution. How to export OST to PST using OST to PST converter? “Install” the software program and “Run” into your system. “Open” the program and select on “Add OST files” from the ribbon bar. After selection has been done a dialog box will appear in which the user need to browse or search for the OST files the user desire. Click “OK” to proceed further. After click on “OK,” the OST files will add in the folder list with which the user can preview the list on the item preview. Now select the OST files or item the user desire to convert and select “Export Outlook PST” from the ribbon bar. After clicking “Next” the option will be provided to the user where the user can export item in PST according to “Message class” and “date range”. Click Next to proceed further and fulfill all the details. After the details has been fulfilled the user need to wait for the report and then “Save” the report. After the report has been saved click on “Finish” to complete the program. 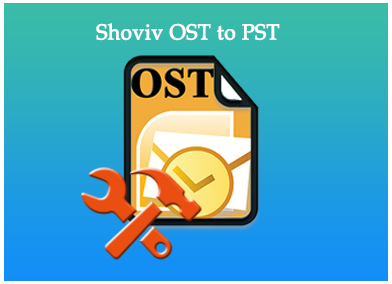 Quick conversion of offline OST file to PST file format. Export all emails from OST after converting to PST. Export OST files to Office365 and Live Exchange. Support the entire versions of MS Outlook. Free demo mode with the first 25 item conversion. There are much more uncertain reasons which may corrupt the OST files but since OST files contain crucial data and mailbox in exchange server, so it becomes necessary for the users to export Exchange OST files into Outlook PST files format. Hence, we advise the user to opt for OST to PST converter because of their user-friendly access and security features which guarantee the outcome and maintain the hierarchy of mailbox and files.